Red is such an easy go-to color for Christmas. But red gets so much attention, not only on Christmas, but on Valentine’s Day, and the whole rest of the year. So this year, I decided to create a holiday tablescape with no red at all. I was originally going to focus on green, but as I was creating it, I realized that the green pine garland was enough… so I focused on gold metallic. I started with a basic white table cloth, and a rustic table runner. 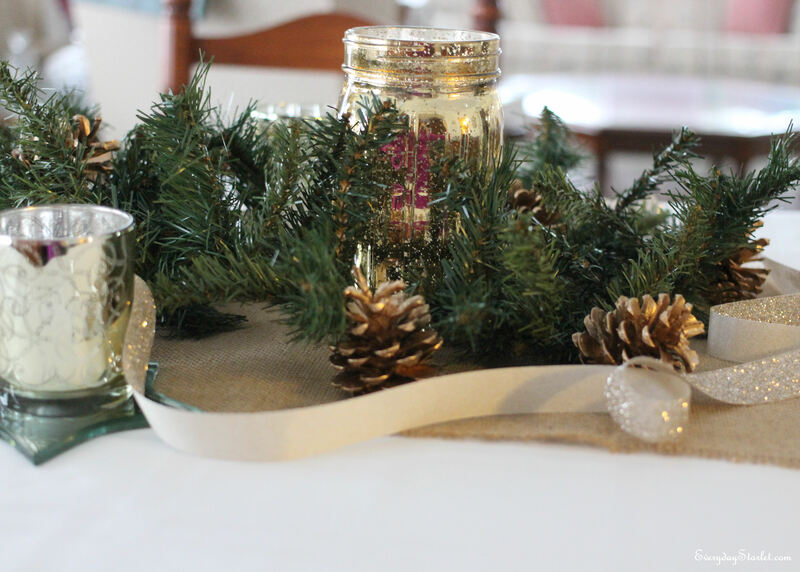 Then I ran some pine garland in the center, and added some gold mason jars from Jo Ann Fabrics, and some gold votives from Michaels (the votives were placed on top of mirrored star coasters for a real Starlet touch). 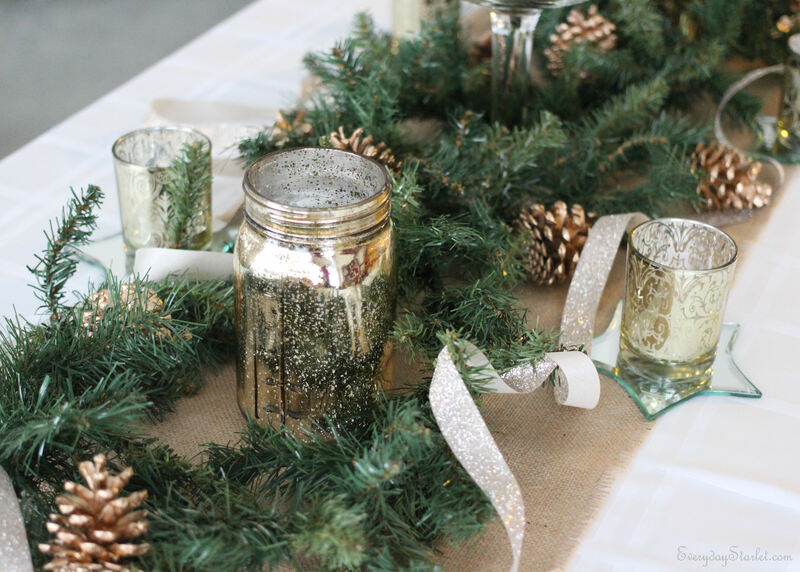 Then I draped some champagne colored glitter ribbon around the whole thing (this was inspired by a tablescape from Style Me Pretty at a Boston Blogger event). The centerpiece was a little more difficult. I tried so many combos before I found one that I loved. 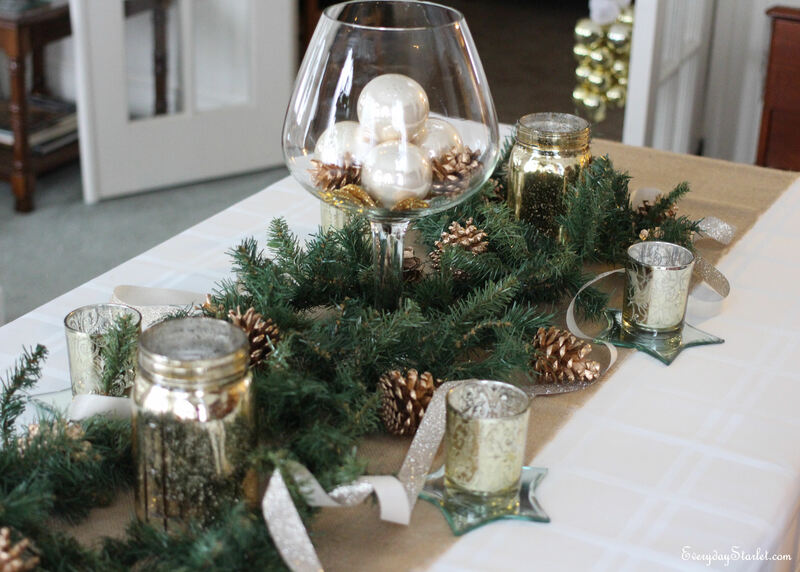 I used a large glass (kinds looks like a brandy snifter), and I added champagne colored Christmas balls, some gold spray-painted pinecones, and some gold glitter leaves. The extra gold pinecones, where scattered around the table…. 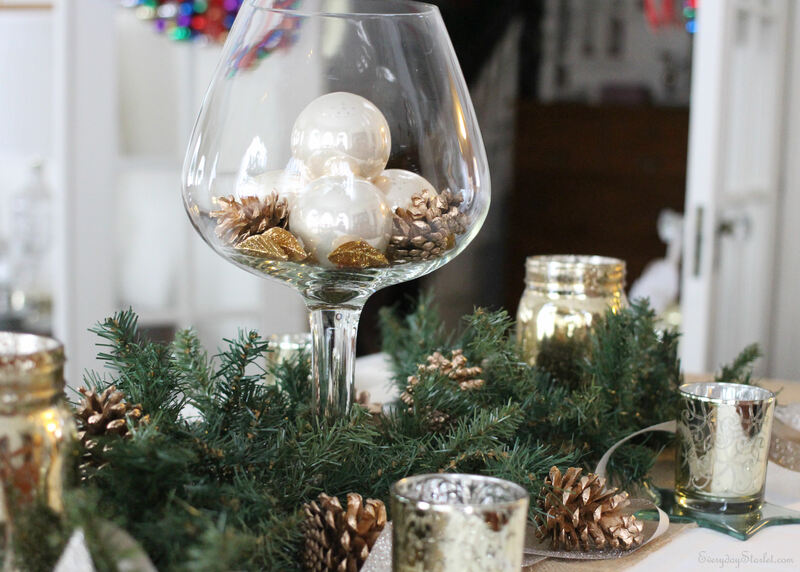 With just things I found around the house, and a few inexpensive items from trips to Jo Ann Fabrics and Michaels… I have a Rustic Glamour Tablescape worthy of an Everyday Starlet!